Hi, it's Reagan from Tunstall's Teaching Tidbits, and I am excited to share a freebie today! As a primary teacher it is so important to give students the time and opportunity to develop phonological awareness. Distinguishing between spoken sounds takes repetition and practice. With all the components of learning to read, this one is so crucial! With the help of a teamie giving me a nudge, I put together 11 different phonological games for students to play. In partners, students work their way around the game board numerous times listening to the sounds that make up the word they land on. For example if a student lands on a picture of a bat, they must distinguish that this is an -AT word family word out of the short a word families. If their partner then lands on a picture of a fan, they will notice that these two words are different. The new word has the -AN sound. I am excited to have something in place now that my students can use to develop that phonological awareness. We can play this whole group on the projector and later I can turn it over to my students! 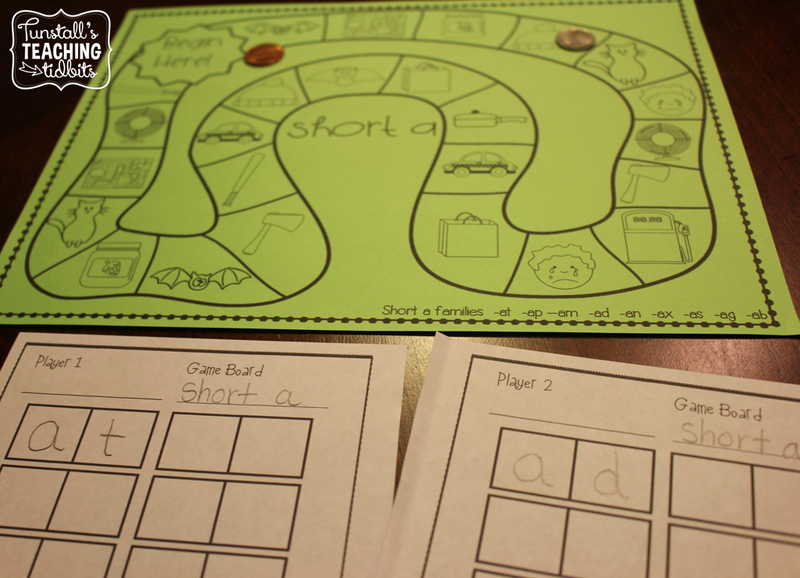 To play the game, the students will roll, count, and move around the game board landing on different pictures. As students land, they must record either the spelling pattern they land on, or the entire word. (For students just working on distinguishing oral sounds, leave out the recording sheet and just practice distinguishing orally) The game continues until the recording sheets for both players are full. Once the game play is finished the teacher will reveal the winning pattern. The student that recorded the most of that particular word family is the winner of the game. This way the game is open ended and can be used over and over! If you read my post about how we do word work, this is an example of our may do literacy games that student play when they finish their must do work. 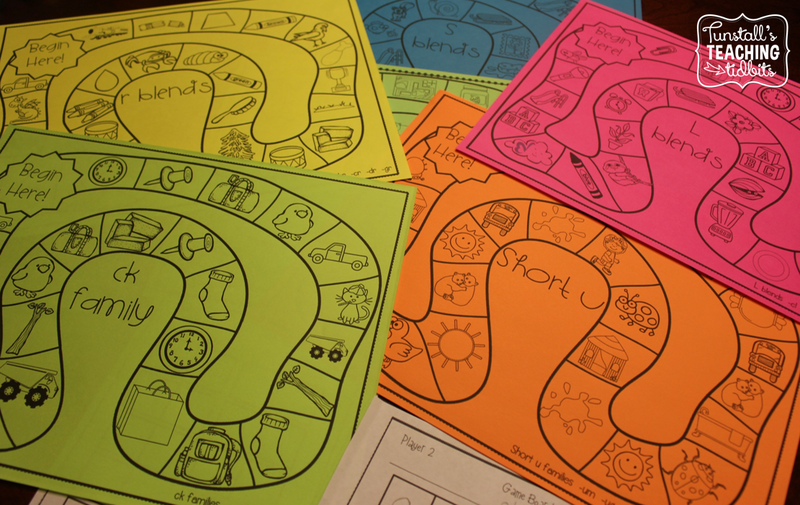 To differentiate this game, teacher can choose from a variety of recording sheets. Another way I develop phonological awareness is with my Flipping for Phonics Books! Here's a video of my students doing them in a small group! One of my students was using her teacher of the day coupon! She got to sit in my chair and flip through the book with "her" small group. These are amazing and so smart! Super cute games for word work centres!! Thanks for sharing! I'm passing this link on to a friend who works with younger kids... I'm calling it a referral! 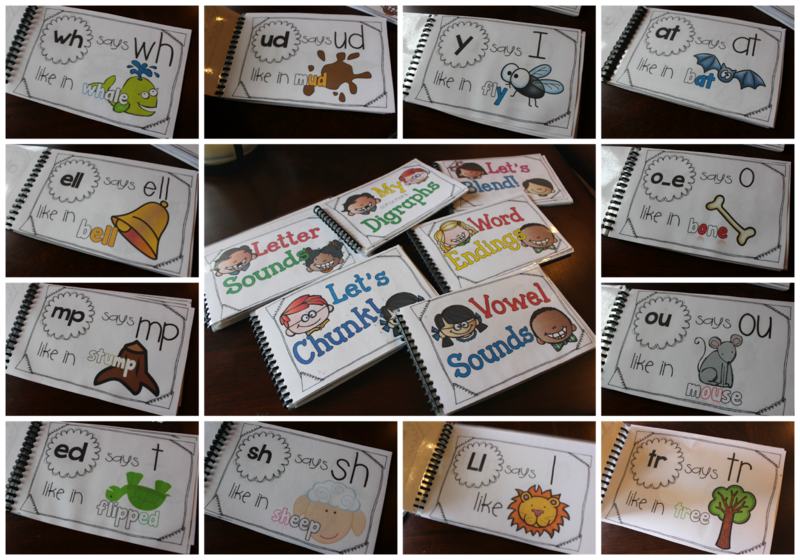 I adore those little phonics books-- you know how I love that kind of orderliness. And the Teacher of the Day option is a great idea too!